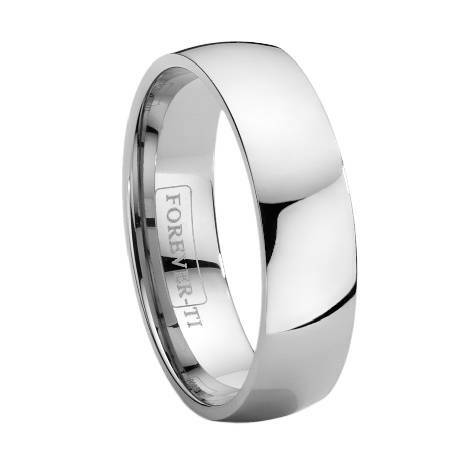 A conservative choice among men's titanium wedding bands, this ring has a timeless elegance. The high polish and smooth simplicity of this 7 mm ring really catches the eye! 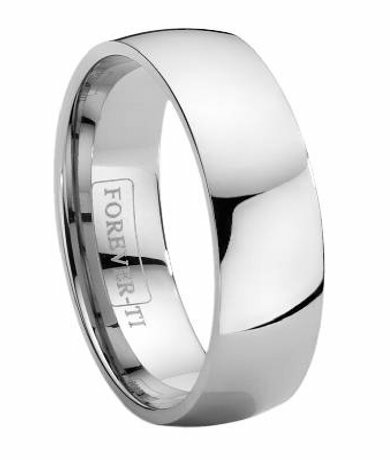 And because it is made from pure titanium, it is extremely strong, lightweight and comfortable to wear. Like all of our wedding bands. This 7 mm Titanium ring is the same width as my original gold wedding band. It's light in weight and have been wearing the ring for 3 weeks now . It gets wet with washing my hands and still has a high shine without ANY indication that it will get dulled - great buy for a great ring! I was looking for a 'spare' wedding ring for my husband so that when he was doing odd jobs his custom ring would not be damaged. This ring was affordable, fit perfectly and has been durable. We are really happy with it.